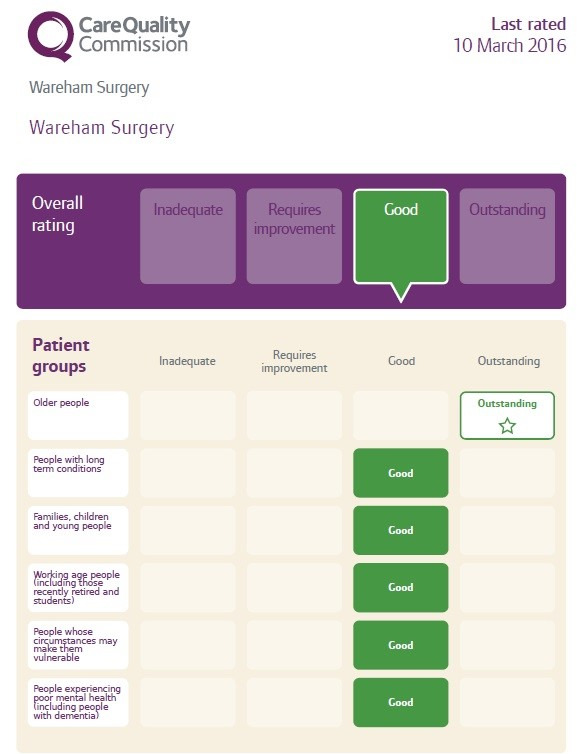 Wareham Surgery was visited by the Care Quality Commission on Wednesday 3rd February 2016. The inspectors were on site talking to patients and staff, and reviewing the surgery’s policies and procedures. We would like to thank all the patients who completed the CQC feedback forms. We are pleased to report that we received an overall rating of ‘Good’, with outstanding ratings for how effective, caring and responsive we were of older people. Please click on this link to view the report.